For our "first hand" listings (not previously listed), both properties received offers after 17 days of online marketing and on average 103% of the asking price, one buyer pulled out for personal reasons after 7 days and it took us another 28 days to get a matching offer over the asking price. On average it finally took us just under 21 days to match an offer in excess of asking price by over 3%. Our third property had been on the market for nearly 360 days and typically was overpriced and under marketed, successive agents pushed for price reductions but failed to improve the marketing and typically the price was dropped from £600,000 to £575,000 and then a silly £545,000! I advised the vendors to stop the damage, remove all marketing and take a 4 weeks break while I prepared better marketing at the correct price...£550,000. We re-launched and 90 days later, my vendors accepted an offer over the original asking price! I achieve 102.52% of the original asking price while other agents only achieve between 95 and 97% on half of their properties ( They will eventually lose half their over-priced stock to another agent and half of these vendors will pull out from selling). Why does my philosophy achieve these results? As a former options trader, I used to craft my own valuation tools. I would constantly calculate the right prices and the right probabilities around each outcome. This approach brought me the right profitable results: I made millions and I multiplied by 100 the yearly traded volume of my instrument over a 5 year plan! With my own valuation tools, I confidently invest my own money to market your property at the right price and deliver a successful profitable sale. The right enticing price will trigger the right offer within 21 days of internet marketing "at or over" the asking price. If a property is 1% "overpriced", it will decrease the interest, add between 10 to 15 days to the selling journey and decrease the probability in attracting the right offer. If a property is 5% overpriced (like it is mostly the case with most agents) my estimation is that 2/3 of the optimum amount of interest is forever lost and this impacts further on the time required to sell and more importantly reduces the probability of achieving the original asking price. It will then require a successive number of price reductions to eventually trigger some interest again ( never reaching the optimum of a fresh start at the right price). If a property is 10% overpriced, there is almost very little viewing interest and 0% probability to achieve anything apart from the passing of time, regardless of the marketing! Even my fee structure is unique: for example if I spend £1500 on an average priced property, I will charge a fixed fee of £3,000 plus an agreed % of what I manage to achieve over a promised target price...does it sound fair enough? So not only I care to sell your property but I care to achieve as much as possible! I will continue to prove that my philosophy delivers more for my vendors. Please let me help you move on and sell your home. 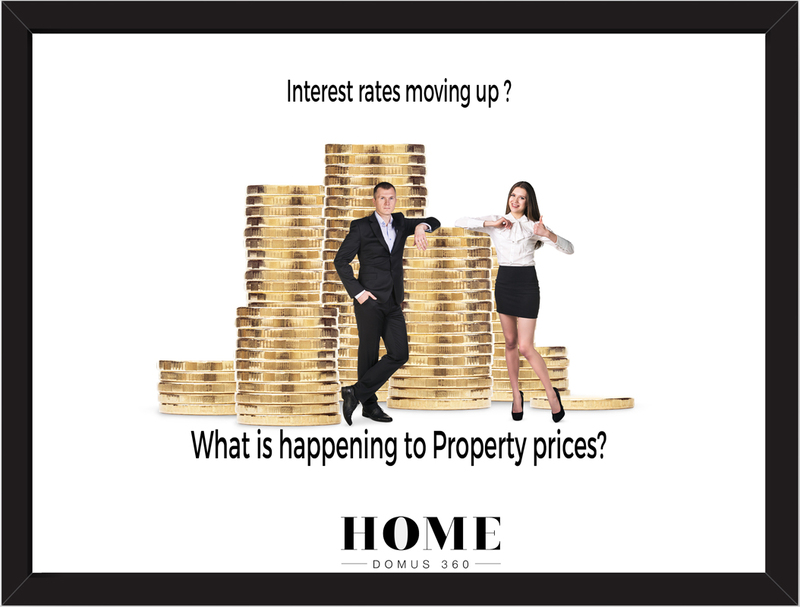 Next StoryProperty Prices and Interest Rate rising?